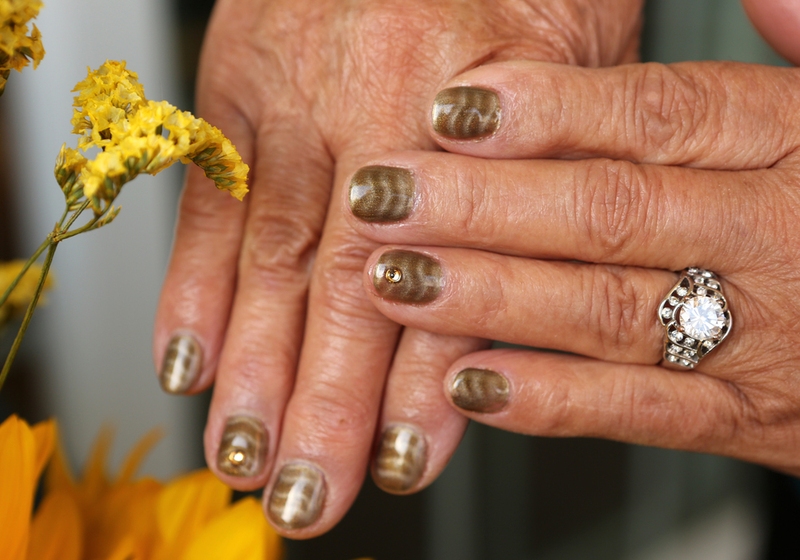 Gave my grandmother a magnetic manicure for Mothers Day and added some bling. She thought she was too mature for this trendy style, and I assured her that age is and always will be just a number. To get your hands on this look, you could purchase this Gelish shellac nail polish called "Don't Be So Particular." To achieve the waves, also purchase the Gelish magnetic wand called Magneto, it comes in three different patterns. You can find these at local beauty supply stores, I found them at Sally Beauty and online at www.gelish.com. The bling is Swarovski Hotfix Elements crystals, you can get them at a Michaels or craft store near you. This manicure is sure to be the next topic of conversation between my grandma's girlfriends! Let me know what you think in the comments below and send me photographs of your trendy nails at ItsKriativ@gmail.com. Hope you had a great Mother's Day!